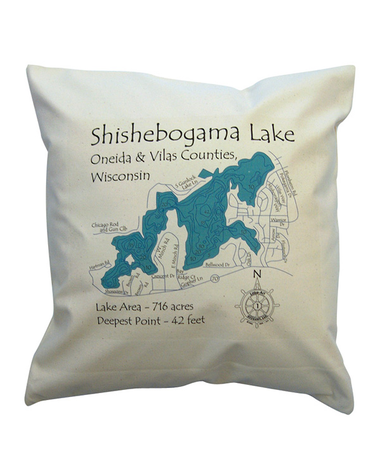 Our Lake Map Pillow is the perfect personalized accessory to your favorite sofa at your main house or at the lake. 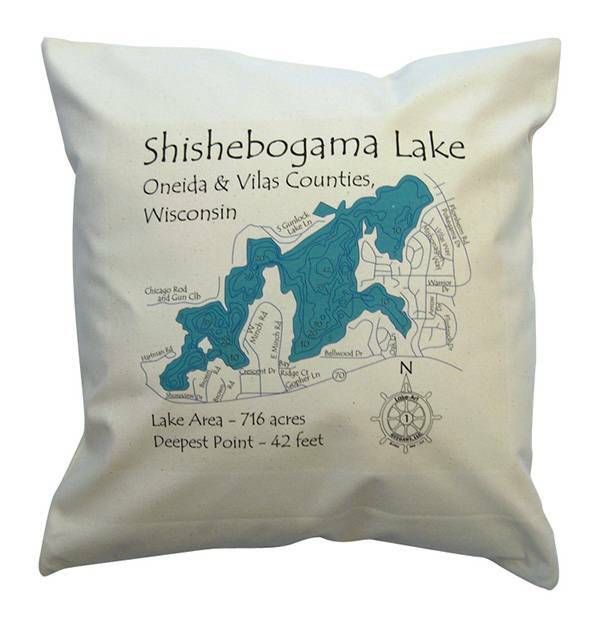 This cozy 16"x16" throw pillow provides a detailed map of your lake and waterfront features. The pillows are just the right accent for lake living. Perfect gift for a lake house owner. Sturdy canvas, well made. I bought one and it's adorable!